The 1947 World Series was "the most exciting ever" in the words of Joe DiMaggio, with a decade's worth of drama packed into seven games between the mighty New York Yankees and underdog Brooklyn Dodgers. It was Jackie Robinson's first Series, a postwar spectacle featuring Frank Sinatra, Ernest Hemingway and President Harry Truman in supporting roles. 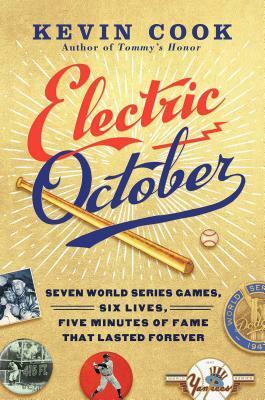 It was also the first televised World Series - sportswriters called it "Electric October." But for all the star power on display, the outcome hinged on role players: Bill Bevens, a journeyman who knocked on the door of pitching immortality; Al Gionfriddo and Cookie Lavagetto, bench players at the center of the Series' iconic moments; Snuffy Stirnweiss, a wartime batting champion who never got any respect; and managers Bucky Harris and Burt Shotton, each an unlikely choice to run his team. Six men found themselves plucked from obscurity to shine on the sport's greatest stage. But their fame was fleeting; three would never play another big-league game, and all six would be forgotten.